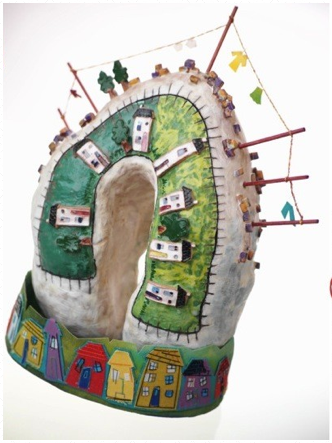 This body of work was made in response to the political history of Northern Ireland and includes work in a number of media: ceramics, textiles and print. These works sought to explore the physical and political environments from a personal and family perspective. The embroideries and prints were made in response to research into early 20th century political propaganda in Ireland and media discourses during 1974-1996. Ceramic sculptures, some with elements of textiles, wood and/or metal included.